Opera Wedding is a leading boutique planning and design agency in Italy, creating custom celebrations in Sicily, Tuscany and Piedmont. Opera Wedding is the result of over twenty years’ experience in the tourism industry, a personal research for beauty and elegance and our natural disposition to personal relationships. Our business is based on a great strive for creativity in all its expressions, a good amount of imagination, but also a great determination to reach the goals that we once set ourselves back in 2005 , when we came across the marvelous and magic world of Event & Wedding Planning. In the years we have helped many couples of different nationalities, different religions and different cultural backgrounds. Since the start we understood the importance of building a good team of suppliers and so although behind Opera Wedding are the creative minds of Alessandra Bentivoglio , Silvia Tosto and the contribution of Antonella La Macchia e Gianna Aluffi , we could not have reached our standards withouth the invaluable help of our suppliers. Passion, harmony, creativity and style. These are the key elements and strengths of our planning method and design concept. We are an innovative agency that believes every event is truly unique. We strive to achieve the best results, exceeding your expectations. We spend time in getting to know you as a couple or as a company, making sure we understand your dream, your ideas and your personalities and create a good relationship both personally and professionally. 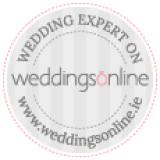 Our goal is to make every wedding unique, to do so we have selected the best suppliers available in the area where your event will take place. The best reward is your happiness.